How to Create Nursing Portfolio to Keep Track on Professional Goals? If you plan to keep a portfolio as a record of your personal and professional development - and make it work for you - it's important to understand what it is, what it does and how you can use it.Don't know much about portfolios? Try working through the learning sections in order. Portfolios come in many styles and formats, to suit different needs. Take a look at some of the options open to you. 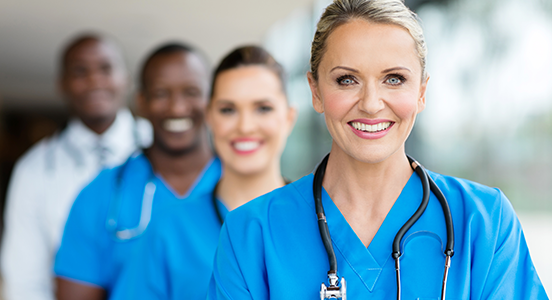 ➠ Most nursing students and nurses create a nursing portfolio to help them keep track of their professional goals, accomplishments, competencies, and skills. For example, an artist creates a portfolio to show their work and accomplishments to future clients. ➠ Nurses in a sense keep a portfolio to show future employers who they are and what they have done. A nursing portfolio is a tool used by nurses to help them secure a nursing job. ➠ When trying to wrap your mind around a nursing portfolio, think of it as a scrapbook that contains everything you have done up to that current moment in your nursing career. ➠ A nursing portfolio does not need to be confused with a resume. A resume is a piece of paper that shows the employer a summary of the nurse’s education, other job experiences, references, and certifications. The portfolio is the supporting documentation of that information. How to Create a Nursing Portfolio? Most nursing schools require nursing students to create a nursing portfolio. This is a great way to help the new nurse get started with creating their portfolio. However, some nurses have never created one. Remember that if you are a new nurse your portfolio will not be as in depth when compared to a nurse who has been in the field for several years. Before you start creating your nursing portfolio you need to compile supporting documents. There is no right or wrong way to compile your supporting documents. Also, keep in mind that you need to include information that highlights your competencies, educational achievements, and skills. Below are suggested documents include in your portfolio. What type of information is included in a Nurse Portfolio? ➠ An outline of your plan for professional development with supporting documentation of activities and learning outcomes. How to Organize a Nursing Portfolio? Once you have compiled all of the proper paperwork you need for your nursing portfolio you need to place it into a three ring binder. It is good practice to place the resume at the beginning of the portfolio because this has your name and contact information on it. Try to organize your documentation in chronological order, if possible. For example, organize in-services based on the date they were completed and so on. However, there is no correct way on how to organize your documentation. Try to organize it in a way that will make sense to the reader. To help your portfolio look professional to be sure to label each section with binder tabs that can be purchased at Walmart. In addition, a table of contents needs to be created and placed in the front of the portfolio.